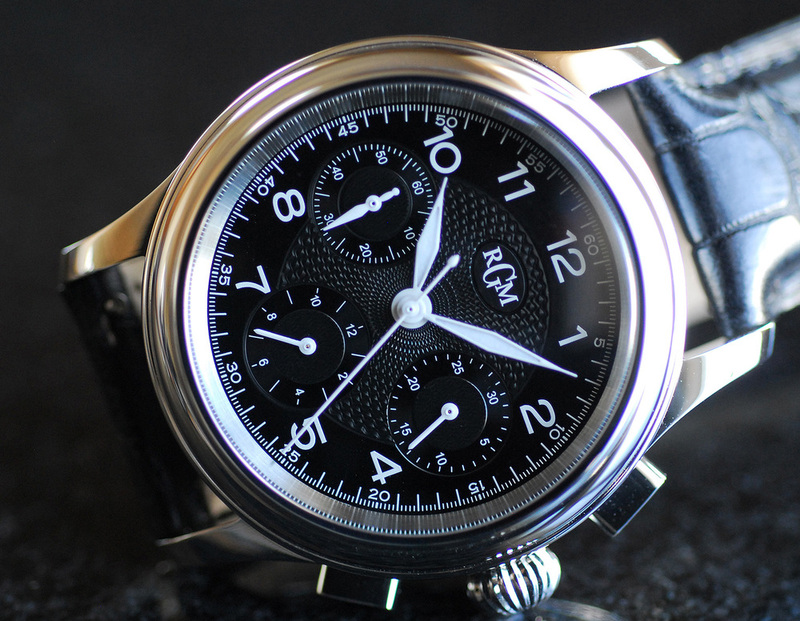 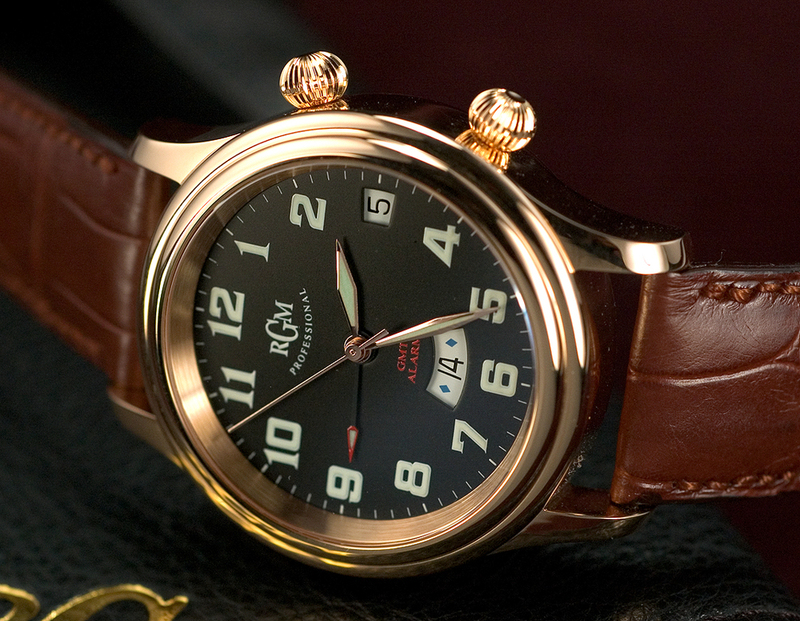 Custom — RGM Watch Co.
Customizations can range from the simple to the sublime. 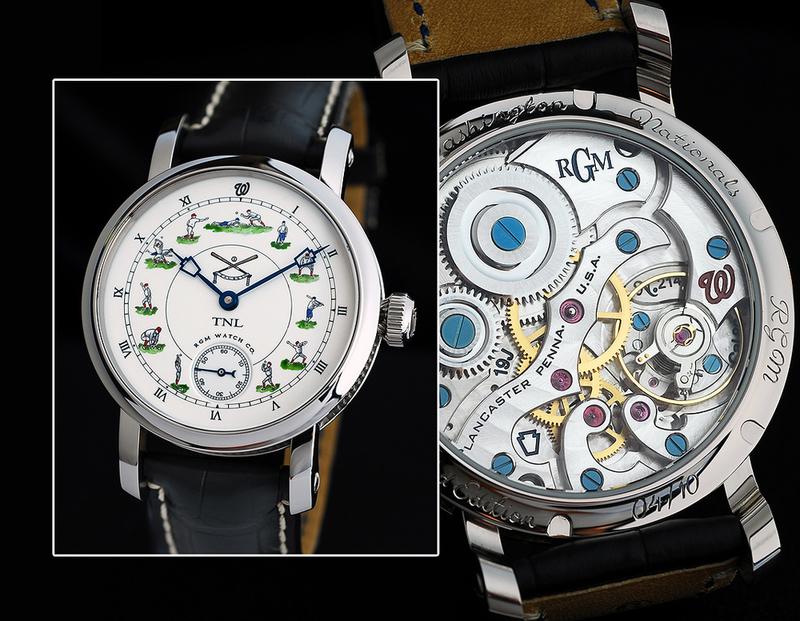 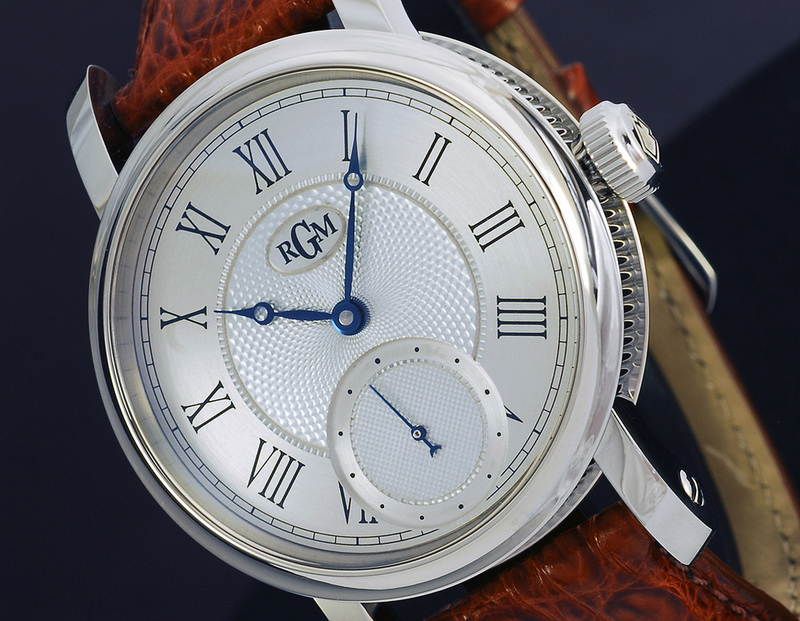 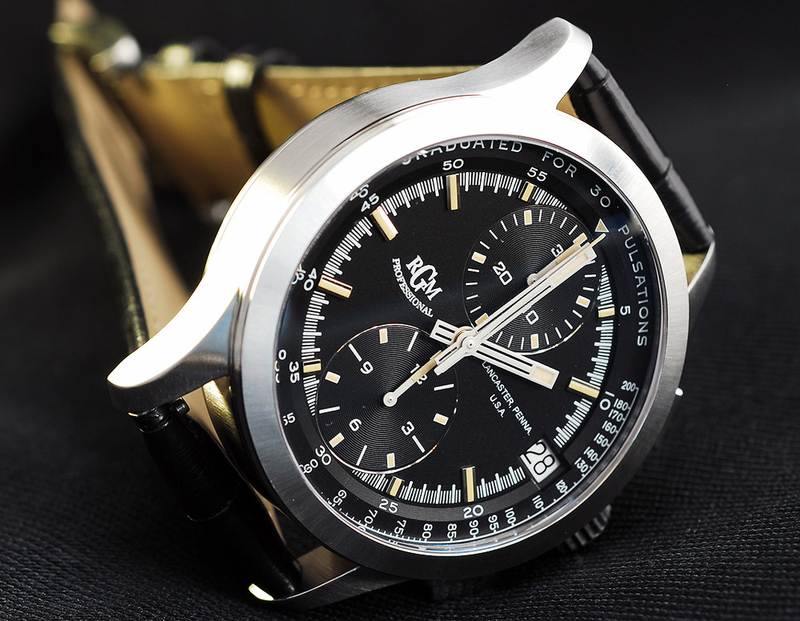 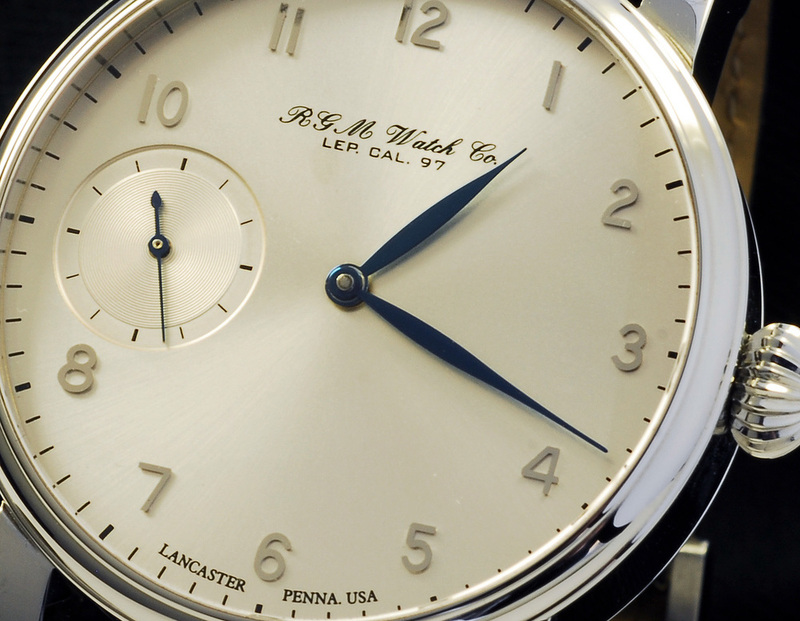 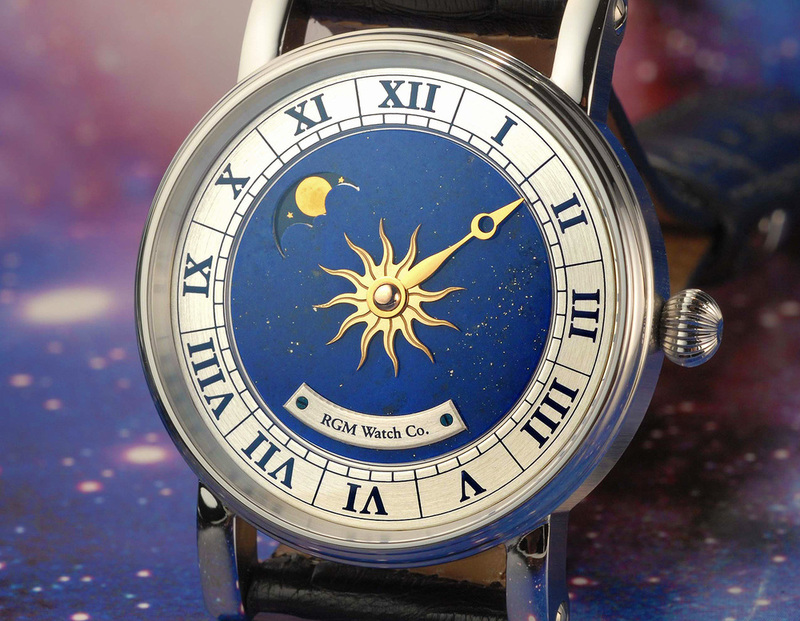 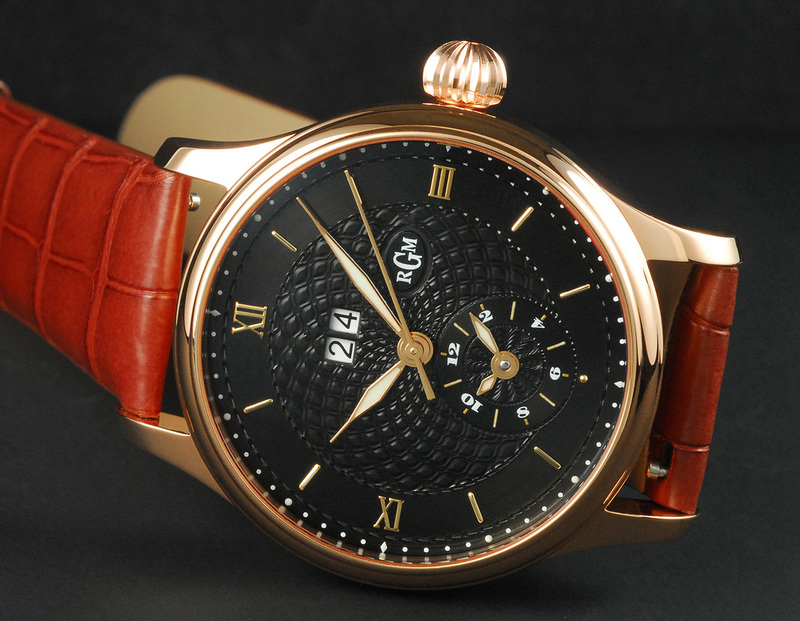 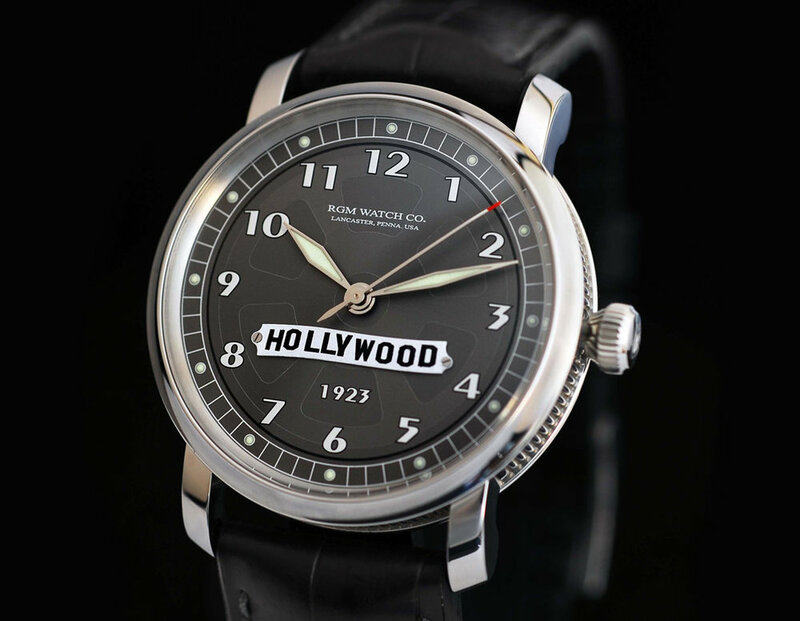 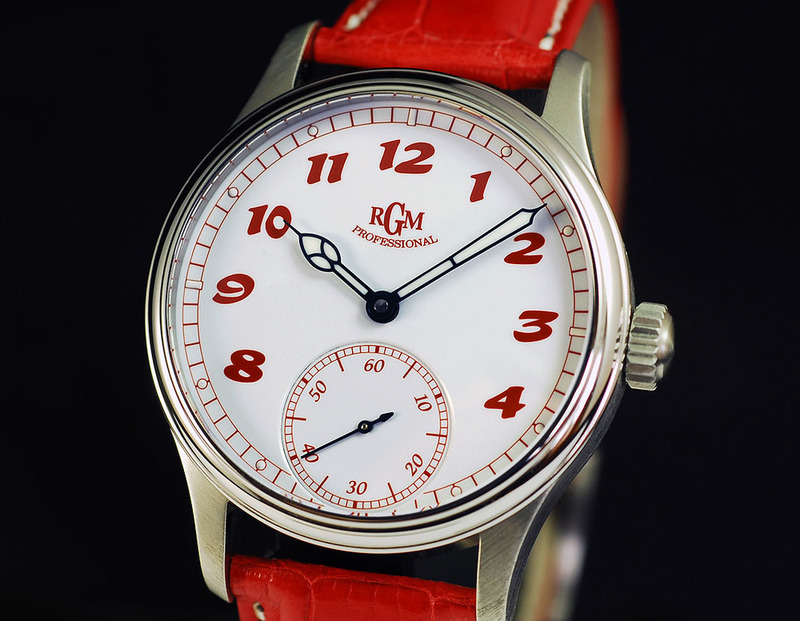 A "production model" RGM watch--the Ref. 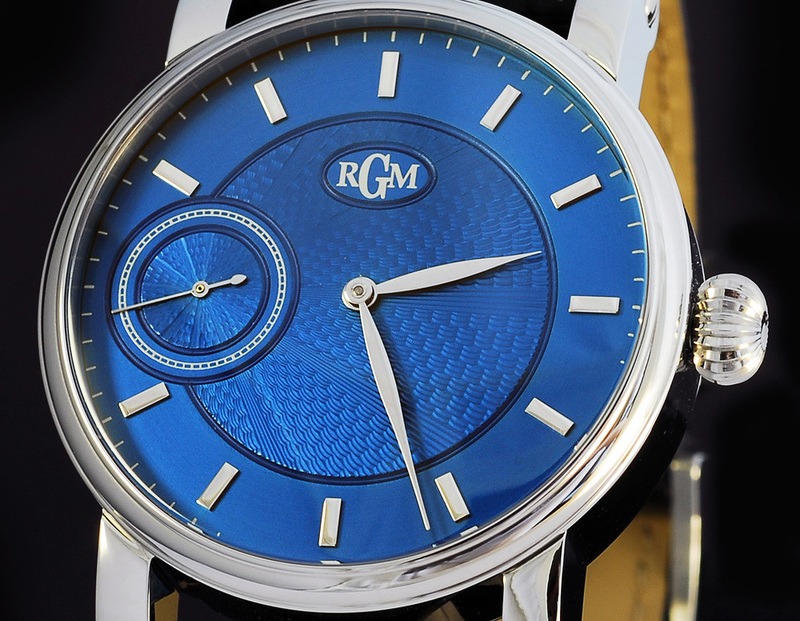 151, for example--could be customized with a unique dial or a personalized engraved rotor. 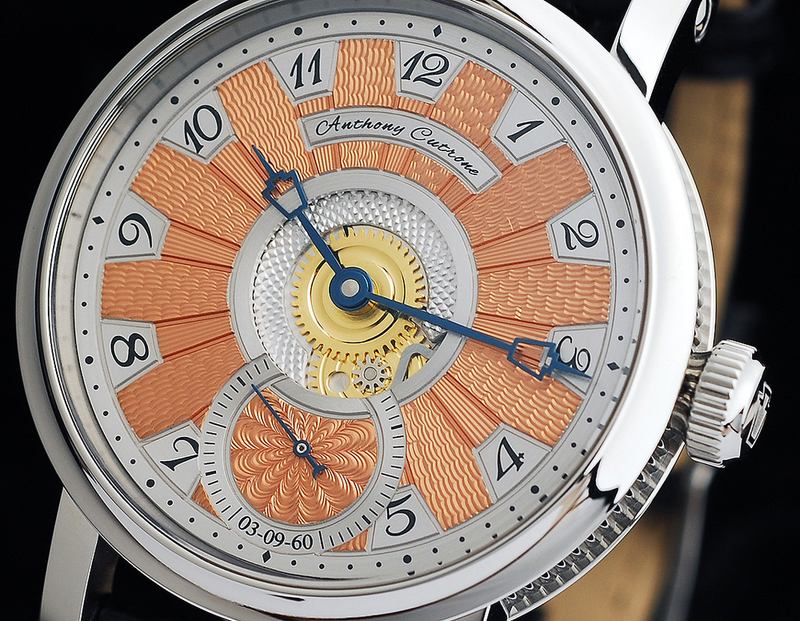 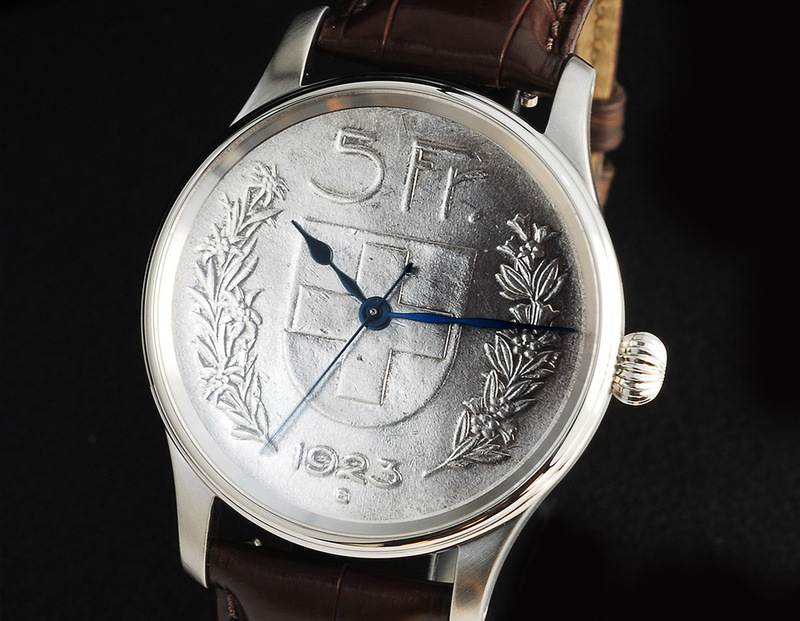 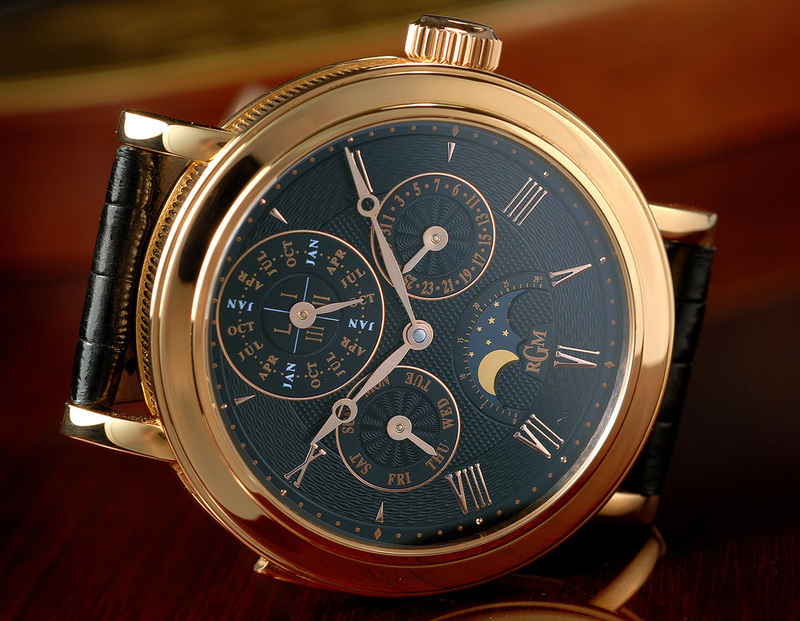 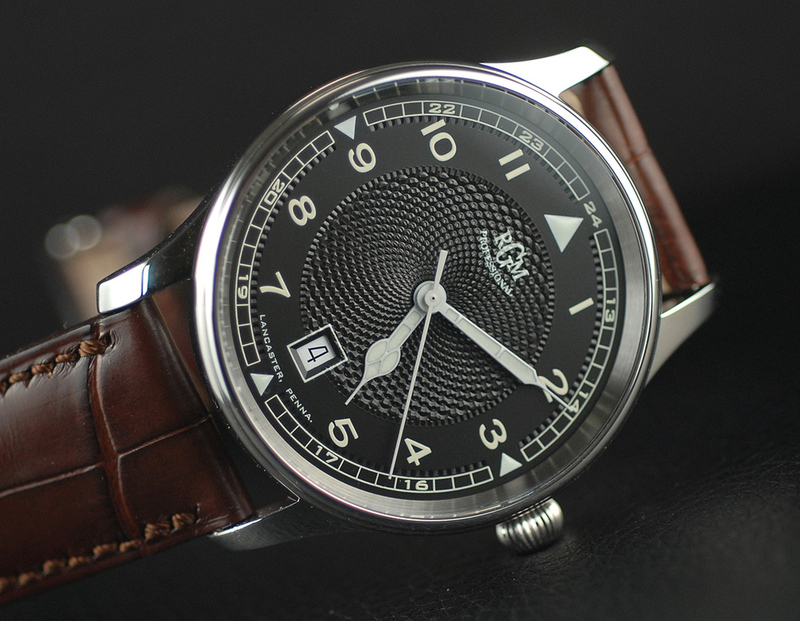 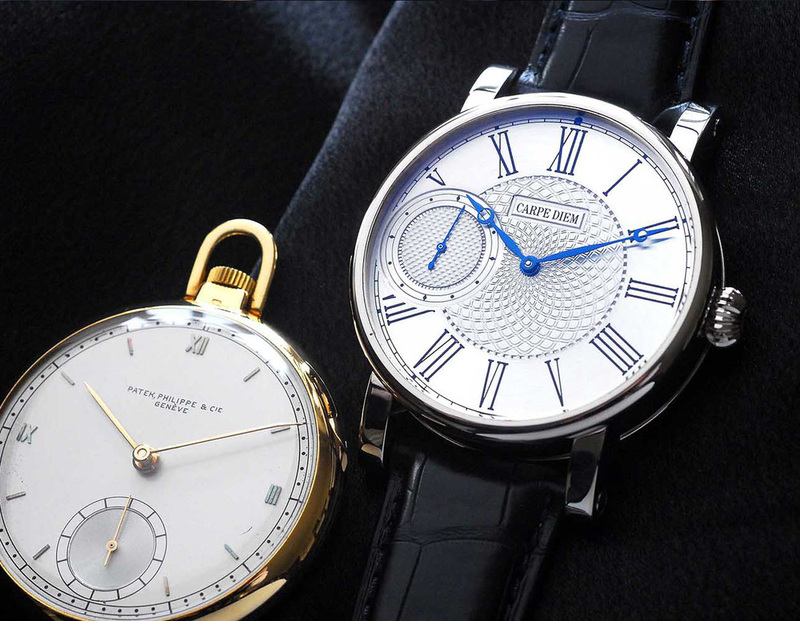 Such modifications represent the more cost-effective ways for an enthusiast to obtain a unique example of an already limited-production watch. 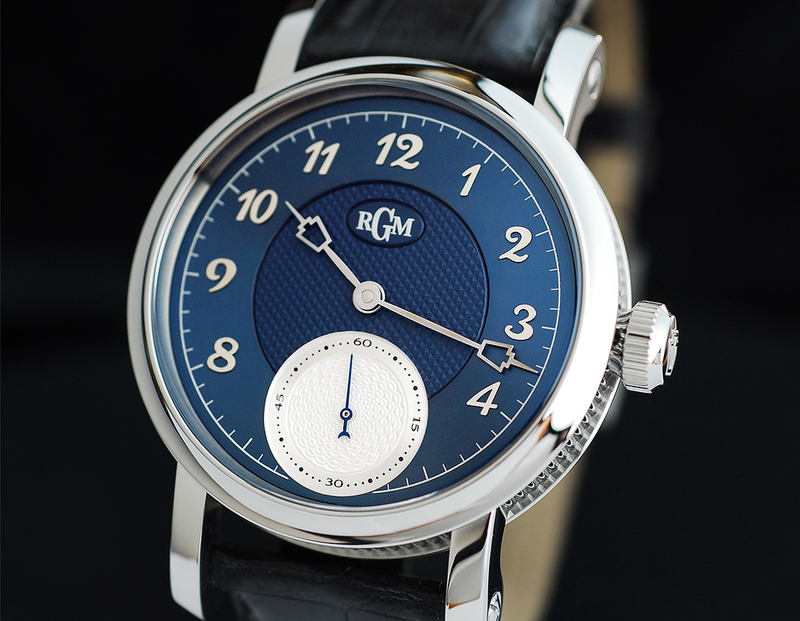 However, for the wristwatch connoisseur who desires a truly unique piece, RGM can accommodate by creating a bespoke timepiece designed and assembled completely in-house. 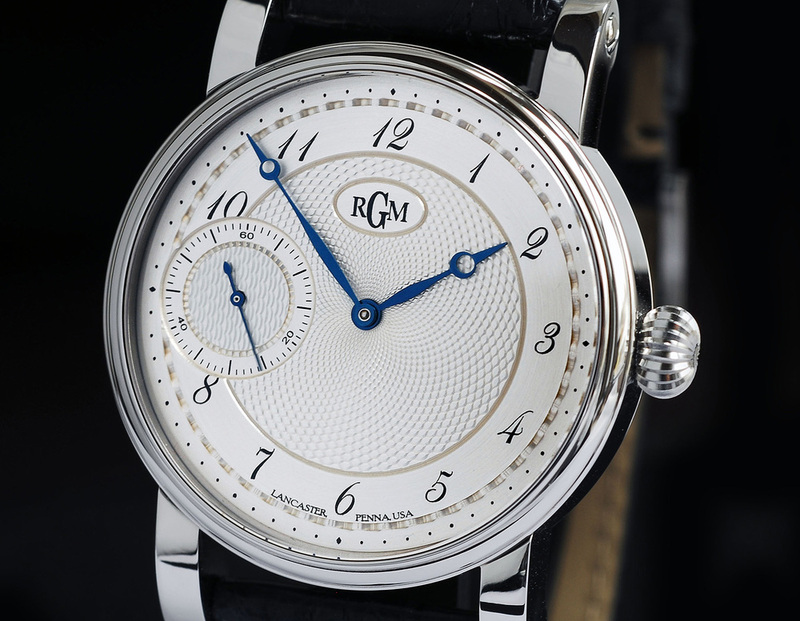 From a custom-built time-only piece based upon a rare vintage movement to a decorated and personalized complicated watch with a perpetual calendar or tourbillon, RGM is able to accommodate a multitude of special requests. 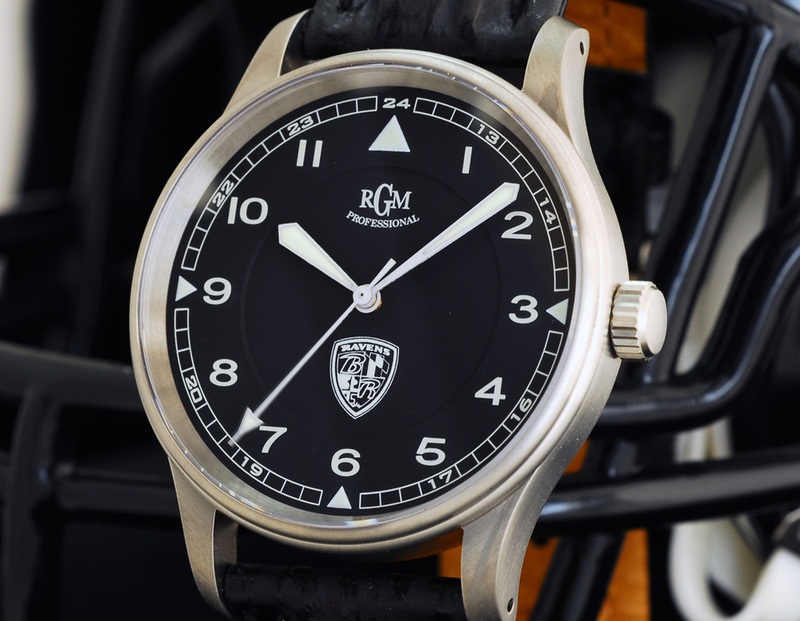 Custom options below can be applied to existing RGM models, or to a full custom watch. 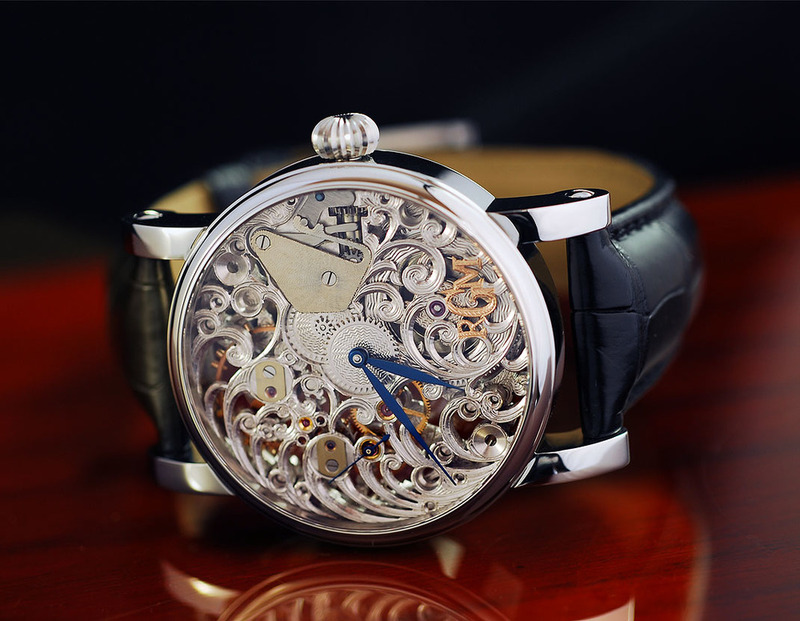 Let us know what your imagining! 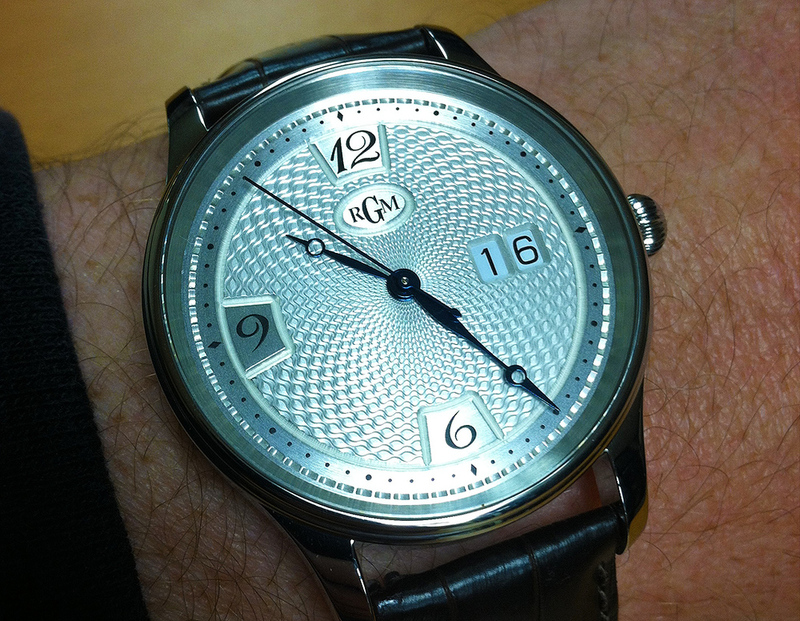 We can etch a logo or wording inside the case-back crystal. 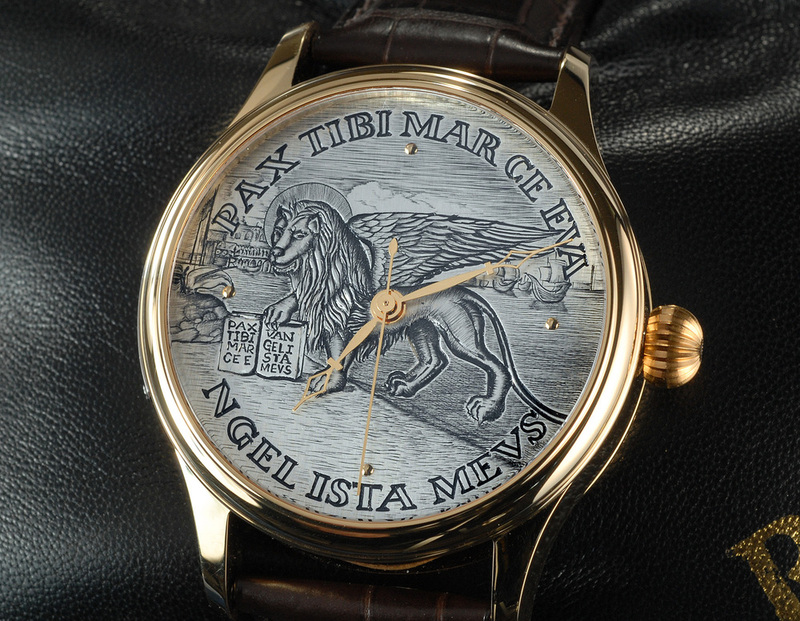 A piece of art on the back of your watch. 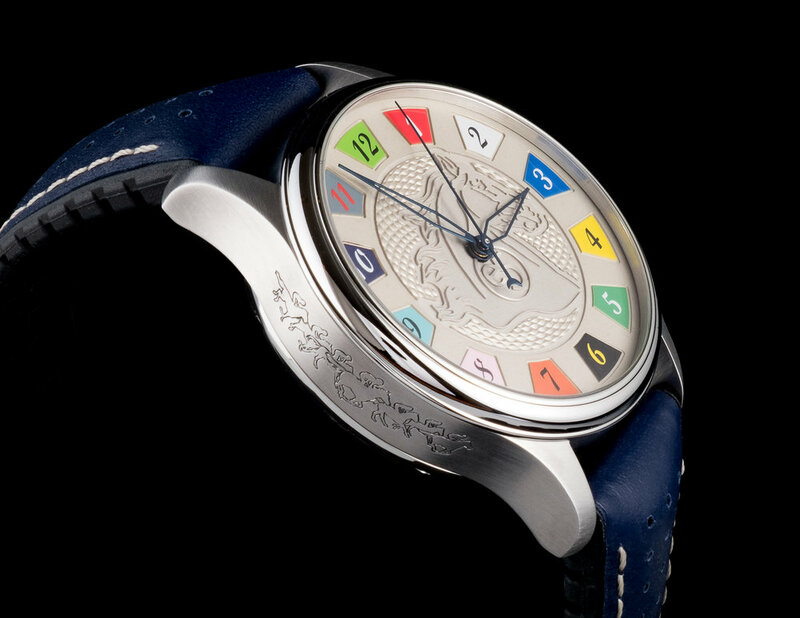 You tell us want you want and we create the artwork for your approval before the dial is made. 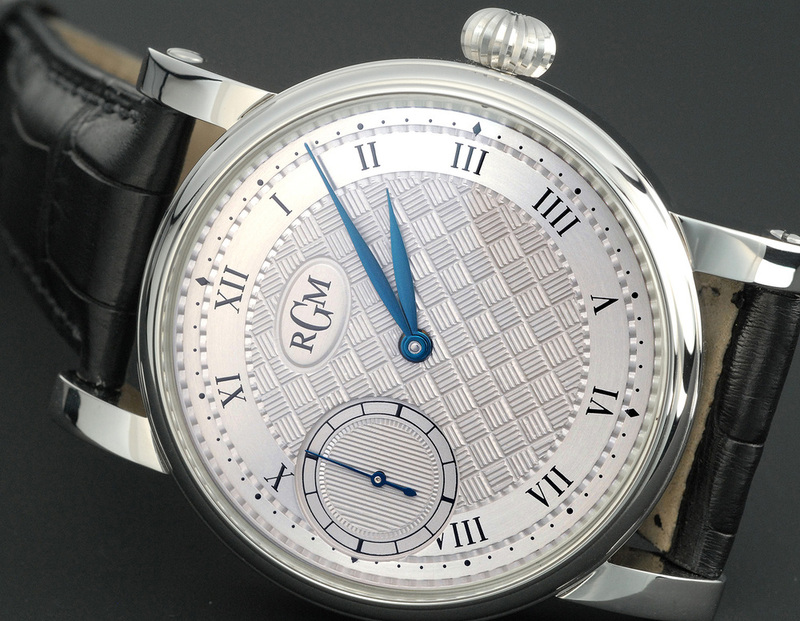 We can engrave the side or the back depending on the model. 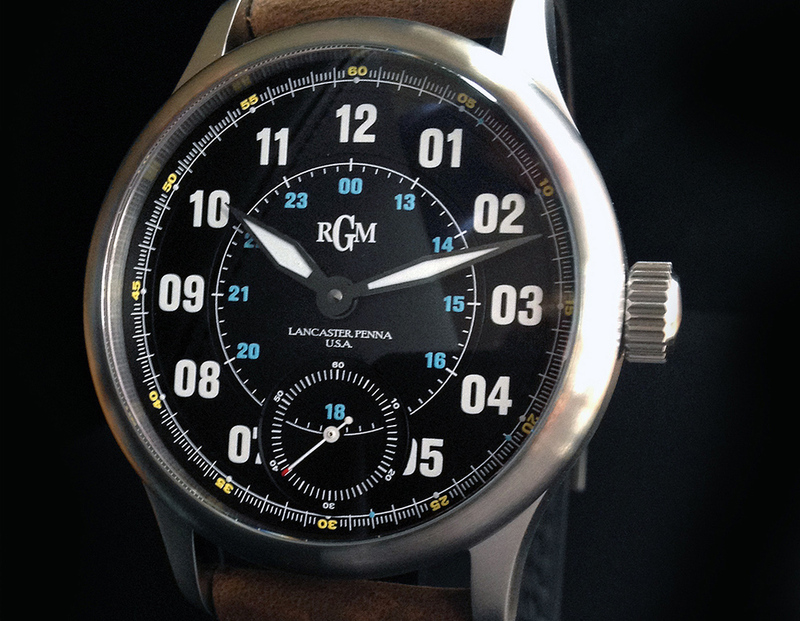 We can add to an existing dial custom wording, logo, etc. 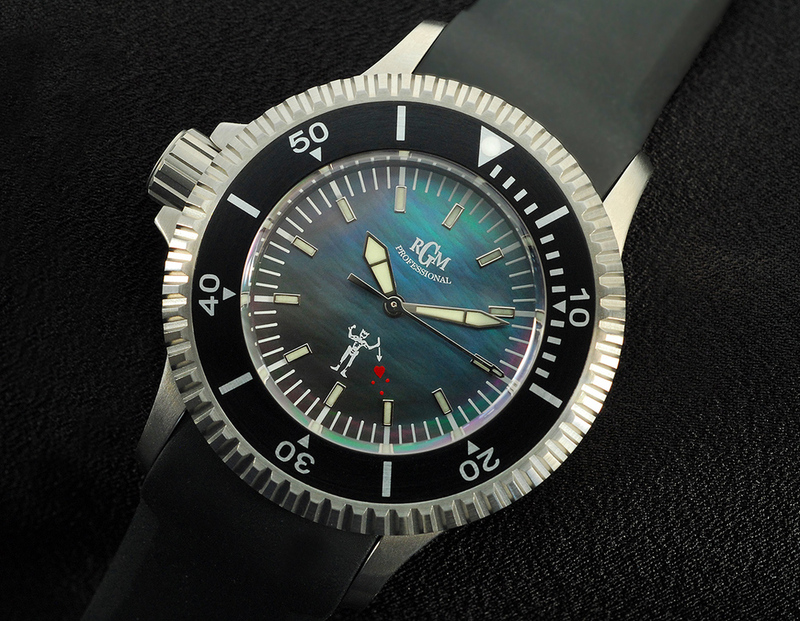 Below are some of the custom watches we have made for our clients. 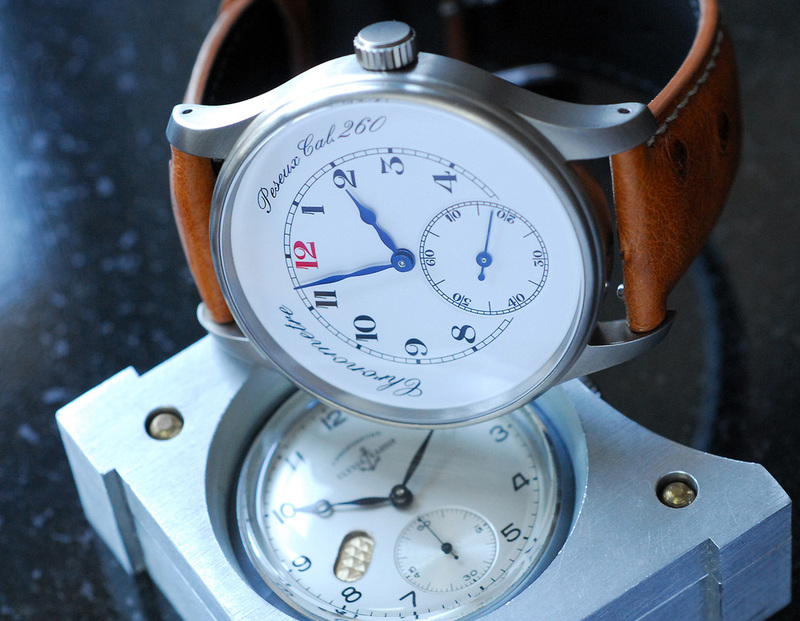 More custom and bespoke projects below.